The concert scene in the St. Louis region has not wrapped up this month, rather it’s the gift that keeps on giving. Start your experience off the right way and let Metro to take you to center stage. The Pageant kicks off the month with a few laughs, hosting comedian Iliza tonight. Next week, American guitarist Steve Vai will perform on Dec. 7. Over at the Peabody Opera House, British indie pop band Bastille will perform on Dec. 16. Kid Rock, musician, songwriter, producer and actor, will help ring in the new year with a concert at the Scottrade Center on Dec. 31. Avoid traffic jams and the hassles of finding (and paying for) parking by taking Metro. Leave your vehicle at any one of 21 free Metro Park-Ride lots in Missouri and Illinois and ride MetroLink to the Civic Center MetroLink Station (just steps from the Peabody Opera House and Scottrade Center) or to the Delmar Loop MetroLink Station (near The Pageant). You can also hop on MetroBus to get downtown or to the Delmar Loop. Ride on one of more than a dozen MetroBus routes to the Union Station MetroLink Station, located just west of the Scottrade Center and the Peabody Opera House. 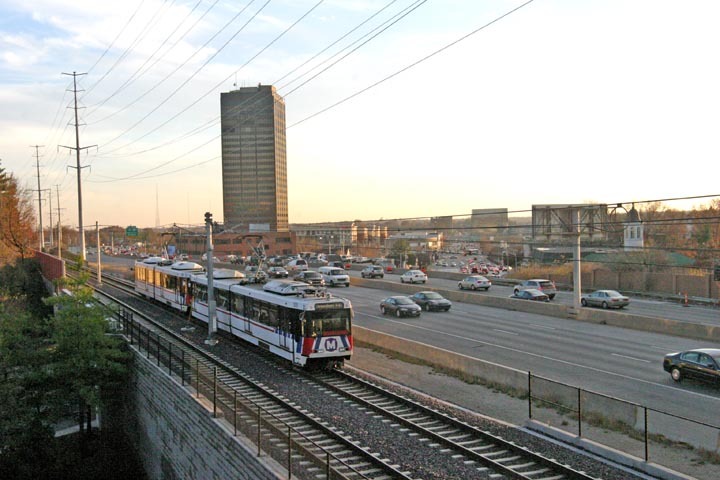 You can reach the Delmar Loop MetroLink Station on any of five MetroBus routes. Ready to let Metro do the driving to your next big concert? Plan your trip on Metro transit by downloading the Metro On The Go app to your mobile device, or use our handy Trip Planner.